Airbag maker Takata, which is already under investigation by federal safety regulators, is now the subject of a federal criminal probe as well. The U.S. attorney in Manhattan is looking into the company that made exploding airbags that have allegedly killed at least four U.S. drivers, according to a law enforcement official briefed on the matter. Executives from Tokyo-based Takata told industry analysts about the criminal probe early Thursday, according to an analyst who listened in on the call. Asked about the U.S. criminal probe, Takata's U.S. spokesman Alby Berman told CNN, "We are cooperating fully with all aspects of the government investigation." Preet Bharara, U.S. Attorney for the Southern District of New York, has already taken the lead in several other cases involving auto safety, including one that calls for Toyota (TM) to pay a $1.2 billion fine to settle a probe into its own delayed recall of cars with unintended acceleration problems. He is also investigating General Motors (GM) for its delay in recalling cars with a flawed ignition switch tied to at least 32 deaths. Takata is already facing a probe by the National Highway Traffic Safety Administration about the recall of 8 million U.S. airbags installed in cars made by 10 different automakers. The exploding airbags have allegedly sent metal fragments into some of the cars' occupants. At least four U.S. drivers of Honda and Acura cars are believed to have been killed by the airbags, according to the Center for Auto Safety. Honda Motor (HMC) expanded its recall of cars with the airbags Thursday. A Honda spokesperson told CNN it is now investigating reports of a fifth death, this one in Malaysia. The New York Times reported last week that Takata employees conducted secret tests of the airbags in 2004 after becoming concerned when one of the company's airbags ruptured in Alabama. But rather than alert safety authorities, the Times reported that Takata executives "ordered the lab technicians to delete the testing data from their computers and dispose of the airbag inflaters in the trash." The Times report that Takata allegedly hid test results was attributed to two former employees who spoke on the condition that their names not be published. Takata did not initially have a comment on the Times report, but late Wednesday it issued a statement denying it, calling it "fundamentally inaccurate." 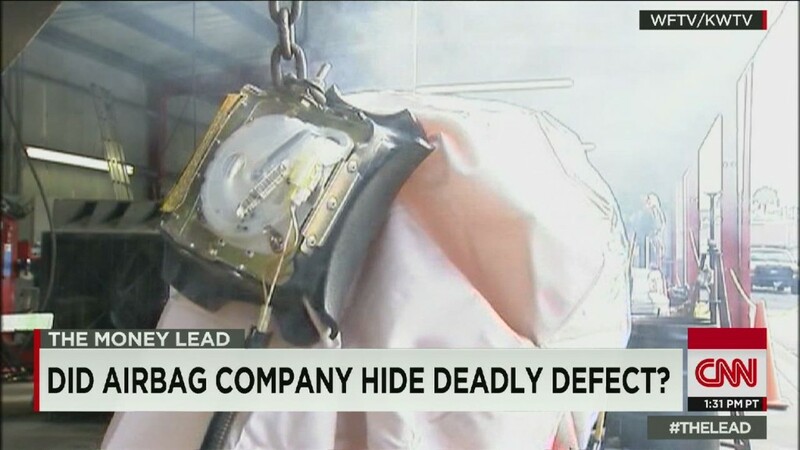 The company said its employees were not aware of the problem with the ruptured airbag until 2005, and therefore could not have performed the tests as reported. It said tests that were conducted in 2004 were not secret but done at the request of NHTSA to look into an unrelated issue. The Times stood by its initial report in an article published Thursday, saying that one of its sources said that Takata's response was itself not accurate. "They are trying to switch things around," he told the paper.